in web development, communications and graphic identity. Cleantech Scandinavia is working to bring together investors with both established companies and start-ups in the environmental technology sector. Cleantech Scandinavia is the leading player in the Nordic region. The organization organizes an annual series of cleantech events and regularly releases publications with summaries of economic development and investment trends in cleantech in the Nordic countries. 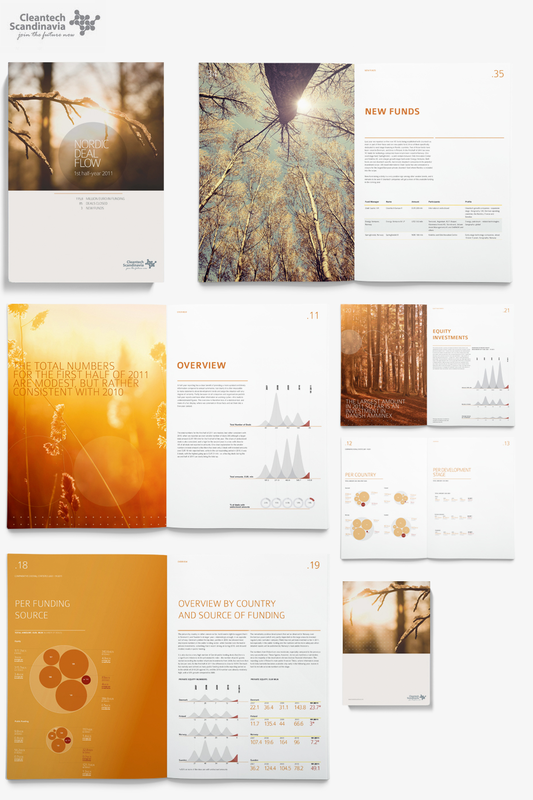 Suscito has designed the printed publication Nordic Deal Flow Report, which is distributed exclusively to Cleantech Scandinavia’s network members.